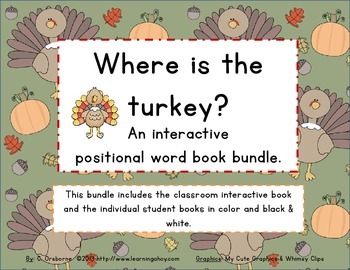 Positional word Interactive book BUNDLE: Where is the Turkey? THIS IS A BUNDLE PACK! 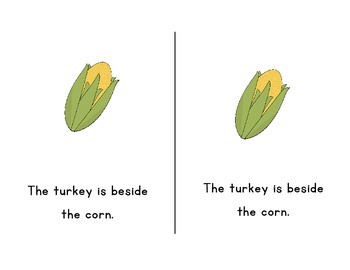 A 9 page book students move a turkey above, below, under, beside, in, between, on, or over various Thanksgiving themed objects. 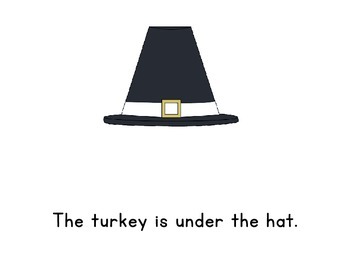 Also included is the student version of this book, Where is the Turkey? 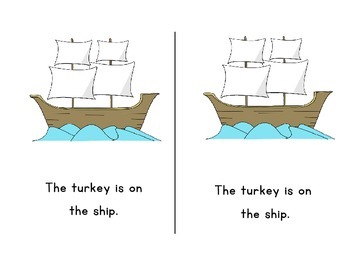 : An interactive positional word book student version,The student version comes in color and black & white.